Whether you want to make improvements to your home because you're preparing to sell or for your personal enjoyment, window treatments are a fun and affordable way to upgrade the look in pretty much any room of the house. In fact, the right window treatments can go along way toward speeding up the sale of your home. Dark homes discourage potential home buyers, while a lot of light in a home provides a number of benefits. Natural daylight enhances moods, increases productivity, and leads to healthier, calmer lifestyles. It isn't surprising, then, that home buyers are more likely to buy your home if you've chosen treatments that let in a lot of daylight. To bring natural sunlight into a room, you may consider pleated shades or a similar alternative from retailers such as the Next Day Blinds Company. Of course, your window coverings should also provide you with a way to keep the direct sunlight out for convenience and to help you maintain a comfortable temperature inside your home. Light-filtering window treatments, such as adjustable blinds or woven shades are effective solutions to this situation. The treatments can be adjusted to let in early morning sunlight and to keep it out during the hottest parts of the day. Today's young buyers are more inclined to buy a home with streamlined looks. This means less fabric and a move away from heavy window treatments. Some of these options may include frosted glass, adhesive films, modern screens, and solid-panel shutters. Some homeowners have chosen to display art pieces as window coverings or positioned plants to provide privacy and some shelter from outside air. Another modern preference involves the use of natural fibers, such as bamboo and rattan. This type of window treatment softens and adds interest to some of the sleek, minimalist designs preferred by many young home buyers. These treatments, conveniently available through retailers such as Next Day Blinds, are readily affordable and maintain a lasting interest when used to complement other classic details. Some home décor colors remain popular throughout the decades. Use this to your advantage when you're trying to sell your home by researching those colors that are most likely to impress potential buyers. This generally involves sticking to neutrals for the majority of the surfaces and using classic colors to add interest. Curtains, blinds, shades, and similar window treatments should complement those choices by coordinating with them or providing contrast. 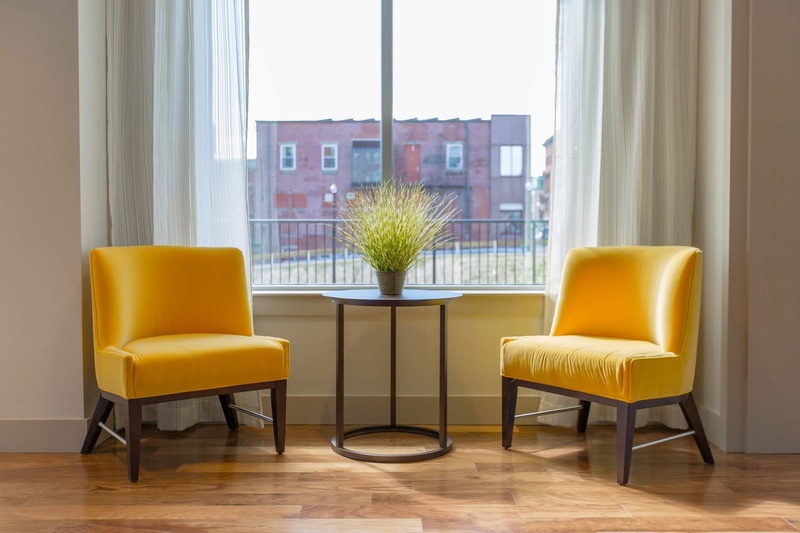 While today's design trends are focused on simplicity, you may find that indulging in luxurious fabrics and details is a way to set your home apart from others. This tactic is a bit risky if you're hoping to make a quick sale, but if you don't mind waiting, you should find a decent amount of home buyers who love luxe and sparkle as much as you do. If you're ready to accept that risk, go ahead and indulge in silks, damasks, and velvets with all the beaded tassels and crystal embellishments you desire. Ultimately, your window coverings should reflect your personal style and leave you with a functional space that you love to enjoy. These tips can help you upgrade your windows to attract home buyers and cut down the amount of time it takes to make the sale. Whether you choose a soft textile that creates a diffused natural light in your space or a sleek, modern panel-track system, you'll find that adjusting your treatments to make them a little more modern can improve the way you feel at home and help you sell your home more quickly.